ZIMBABWE – The 2012 Presidential candidate of the People’s National Convention (PNC) says his party is tired of always presenting one candidate who, according to him, has no vision for PNC. 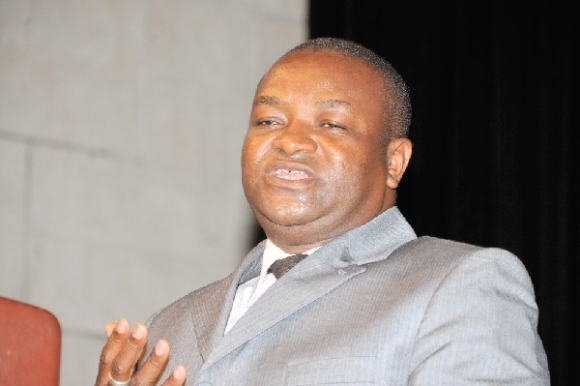 Hassan Ayariga, who was referring to his contender Dr Edward Nasigrie Mahama as the ‘Mugabe’ of the party, said when he (Dr Nasigrie Mahama) once again becomes the presidential candidate of the party, he will only end up dividing the party. “My contender is bringing division in the PNC and so I will be worried if he is elected as the presidential candidate of the party when we go to Congress,” he said. The 7th National Delegates Congress of the PNC will be held in the Upper West Region from December 11 to 13, 2015, in memory of late party stalwarts Alhaji Imoro Egala and President Hilla Limann. The National Chairman of the party, Alhaji Ahmed Ramadan says the party has completed all the processes necessary for the successful two-day congress. ZIMBABWE – He disclosed that the Electoral and Nominations Committee of the party, acting on its mandate, conducted balloting for all the aspirants on December 3, 2015 at the party headquarters in Accra. This follows the picking of nomination forms, filing and vetting of all aspirants to enable the party to go to Congress as a united group. At the end of the largely successful balloting exercise, Dr Edward Nasigrie Mahama and Dr Abdulai Hassan Ayariga, in that order, will contest the party’s presidential candidate slot. But speaking on Asempa FM Wednesday, Dr. Hassan Ayariga stressed that he is poised to bring unity in the party and therefore will not allow anyone to destroy the party as Dr Nasigrie Mahama did when he was the flagbearer of the party some time ago. He said when Dr. Nasigrie Mahama was elected as the flagbearer of the party, he showed no leadership skill ‘but only enjoys being a flagbearer with no vision’. “My only problem I have with my contender is the division he brought into the party in 2008, 2012 and now. When he was the leader and flagbearer of the party, his conduct brought the party into disarray because some people in the party intentionally campaigned against me”. Asked by show host, Kwadwo Asare Baffour Acheampong (KABA) what he intends bringing on board, the 2012 Presidential candidate indicated that aside ‘good’ policies, he will rebrand and turn around the fortunes of the party. “The NPP and the NDC is successful because they are committing fully as far as resources are concerned and I intend doing more than that to see the PNC rise on its feet again” he stated.